← Is Depression an Illness? A first aid kit is something that is usually out of sight and out of mind. Few of us ever think about these kits because for many of us, getting hurt is the last thing on our minds. However, you never know when you or someone else could get injured. For this reason, it is important to have a well-stocked first aid kit ready, wherever you are. You have two options when obtaining a first aid kit. You could purchase a premade one, which can be found at your local retail pharmacy in Orlando, Florida or you could make your own. Creating your own first aid kit is usually the best option as it will allow you to tailor it to your own needs and preferences. Here are a few tips to keep in mind when creating the best first aid kit for your situation. Get a First Aid Manual: Unless you have experience with first aid, it is crucial to have a first aid manual. This manual can provide instructions for treating numerous injuries. After all, your medical supplies will be useless unless you know how to use them properly so having this manual can provide lifesaving information that will allow you to treat yourself or someone else until medical professionals can arrive. General Supplies: Since you never know what will happen in the future it is important to have a little of everything. Have bandages for cuts, splints, and antiseptic cleaning solutions to disinfect wounds, various tools like scissors, and more. You can also customize your supplies depending on where you live, what you normally do, and what kind of injuries are commonly expected in the activities you participate in. Convenient Container: When creating a first aid it, it is important to put your supplies in a convenient container. You want it bright, easily seen, and clearly marked. This means if you get injured, someone else will be able to find your first aid kit easily. Those are just a few tips to keep in mind when you want to create your very own first aid kit. 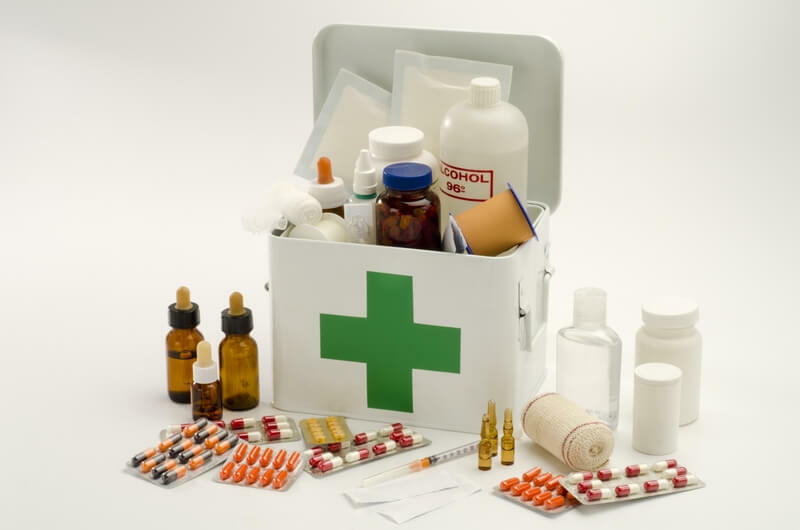 If you want to learn more about first aid kits or about our specialty pharmacy in Florida, please feel free to get in touch with Orlando Pharmacy anytime. This entry was posted in Health Tips and tagged Delivery Services, First Aid Kit, Health and Beauty, Medical Supplies, Medical Treatment and Management, Medications, Pharmaceutical Management, Pharmaceutical Services. Bookmark the permalink.